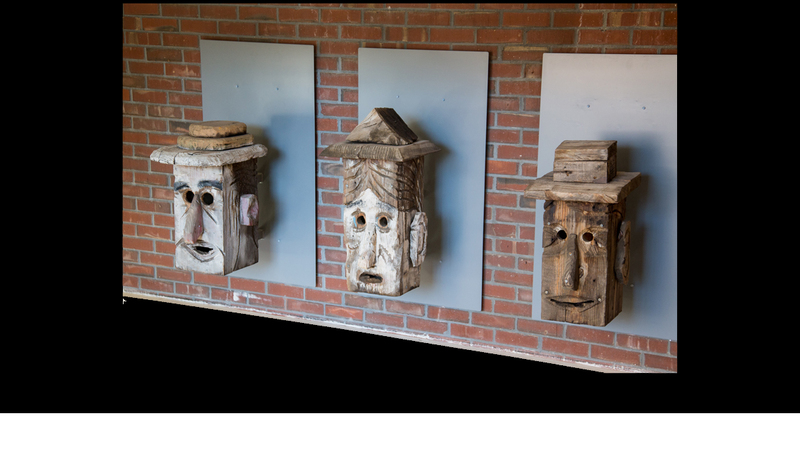 Langlais built many Birdhouse Heads and posted them high up on platforms on the property in Cushing. 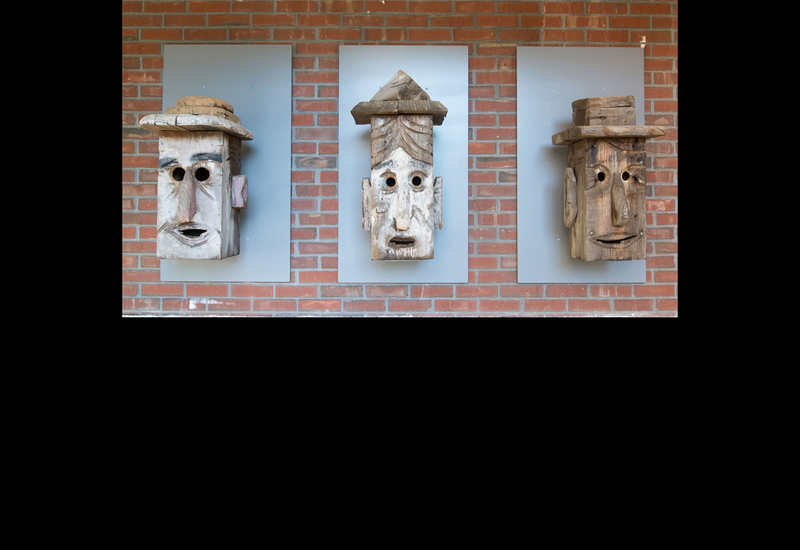 Each head is different, some with hats and some with glasses or large nails for hair. 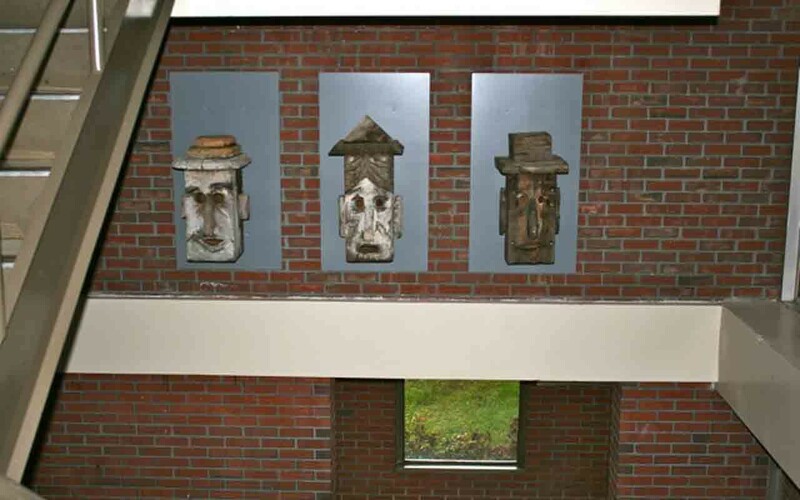 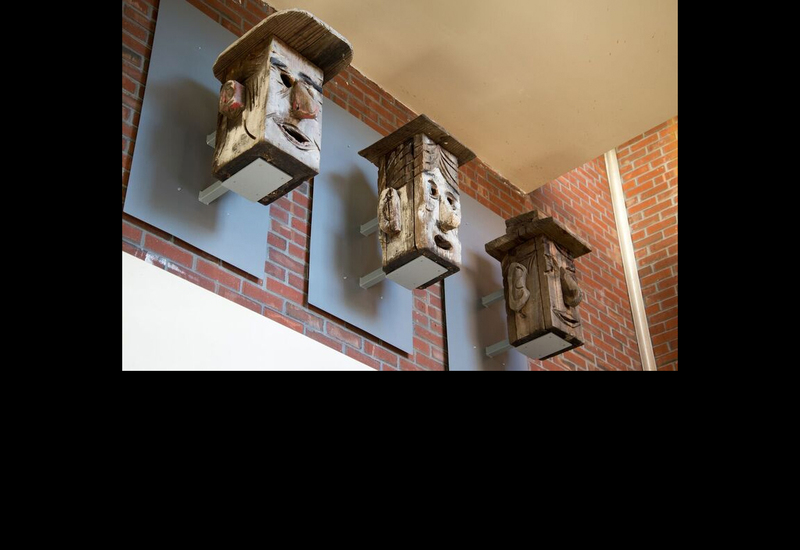 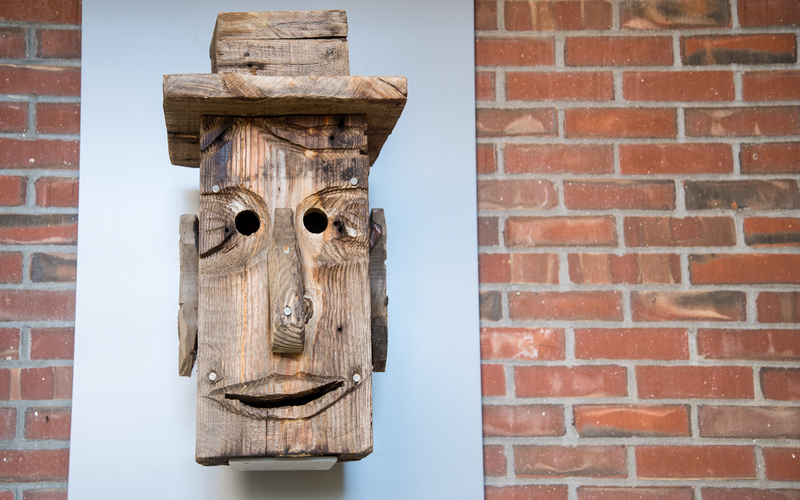 The Portland Public Art Committee received eight of these Birdhouse Heads as a gift to our collection from the Langlais Estate and we have placed three in Portland High School on the stair landing in the atrium, two at Deering High School at the bottom of the stairs from the cafeteria to the gym, and three more on the stairs in the PATHS building leading up to Casco Bay High School. 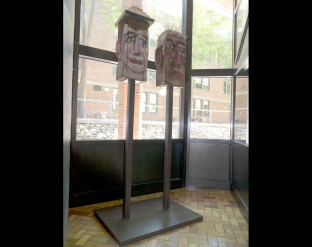 Langlais labeled the middle head Jimmy Carter and the left head looks a lot like Richard Nixon.